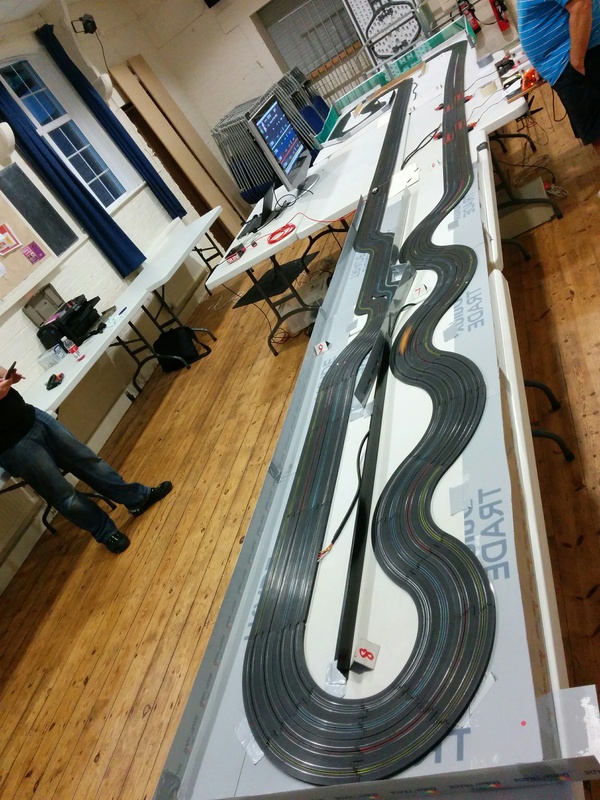 Al had laid out a rather wiggly handling track complete with a bus stop chicane that proved to be trickiest corner on the track. 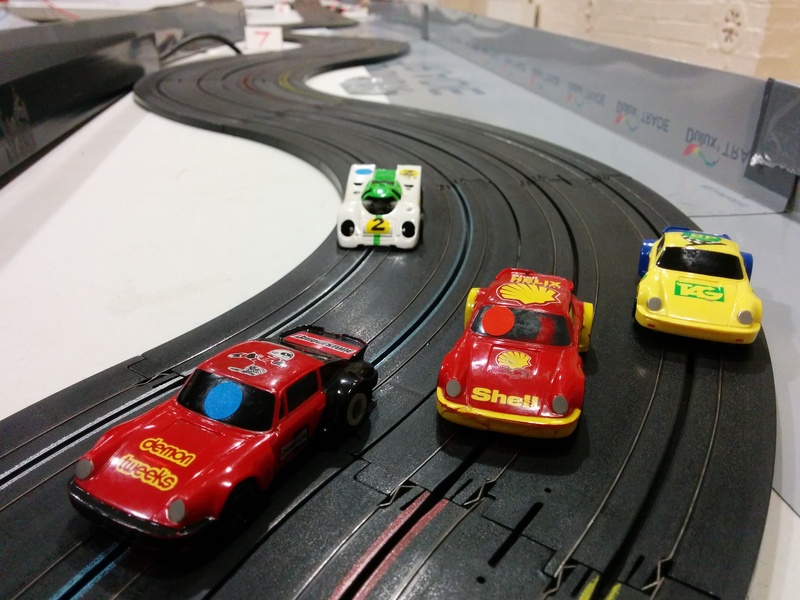 With only four people in attendance the final finishing order was decided by the finishing order in quali. Big scores in the blue and red lane helped Al pip Nick to the top spot by just 0.3 laps. Paul’s tyco was the fastest over one lap but he didn’t have enough consistent runs for higher than third. Tony finished fourth a lap behind Paul. Although Al was ahead at the halfway point in Qualifying Paul made the most of his car’s superior handling to bang in some great scores on white and blue and claim the top spot by over 3 laps from Al. Paul also snagged his tenth fastest lap of the year to boot. Nick took the final spot of the podium ahead of Tony in fourth. Thanks to all who attended. 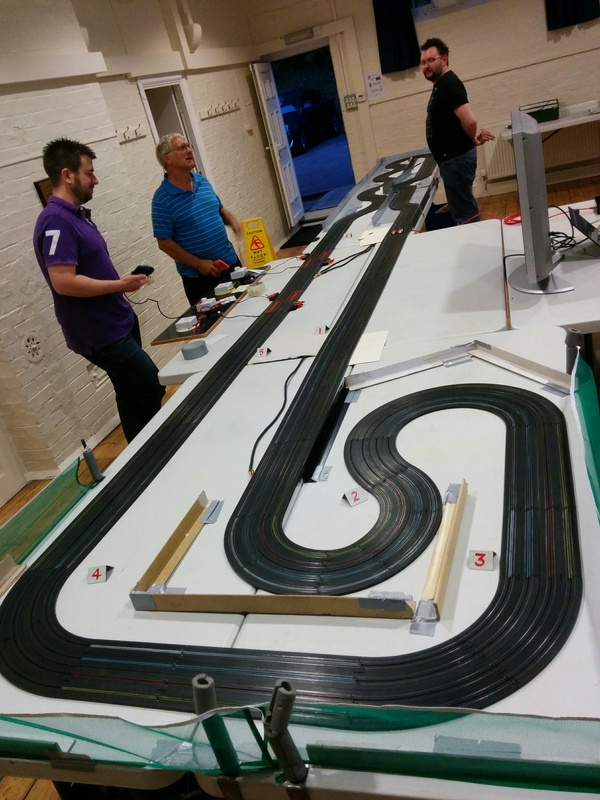 Join us on the 5th of October for the penultimate round of Micro Scalextric Club Class and Super F1.